CANCÚN, Q. Roo.- Quintana Roo will host the Tianguis Turistico in 2019, after this year’s event in Mazatlán, that exceeded all expectations and was redognized as the most succesful “Tianguis Turístico” in history. The event saw the attendance of representatives of 700 companies from approximately 50 countries. Achieving a record figure of 43,000 confirmed business appointments, representing 20% ​​more than in the last edition held in Acapulco. 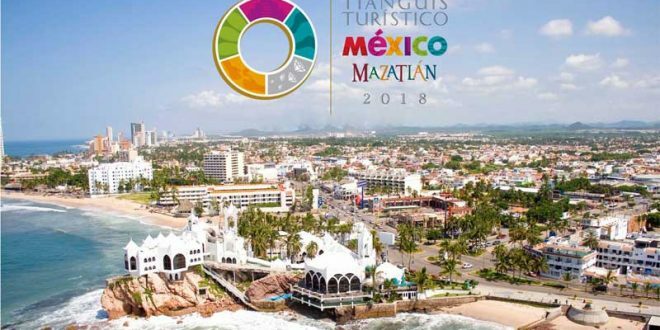 Héctor Flores Santana, general director of the Council of Tourism Promotion of Mexico (CPTM) declared that Mazatlán 2018 is the best Tianguis Turístico in the history of this annual event, and that it triggered a significant economic spill for the port of Mazatlan thanks to the improvements in infrastructure and to an intensive campaign of promotion and the closings of business they’ve made prior to the Tianguis. The Sinaloa State government made an investment of 150 million pesos to organize the 2018 Tourism Tianguis at “The Pearl of the Pacific”. Roberto Cintrón Gómez, president of the Hotel Association of Cancun and Puerto Morelos, and Jean Agarrista Marfín, leader of the Hotel Association of the Riviera Maya, agreed that the event is one of the main challenges for the tourism sector in Mexico , as it is to maintain the hotel rates, and they accepted that Cancun and the Riviera Maya face a major challenge in order to overcome the results obtained in Mazatlán.